In the middle of our MUIMUN conference are the debates. But there is a lot more to this exciting week! The Yemini civil war – a humanitarian crisis caused by foreign interests? My name is Saskia Millmann and I’m currently studying for a PhD in International Law at the University of Glasgow. 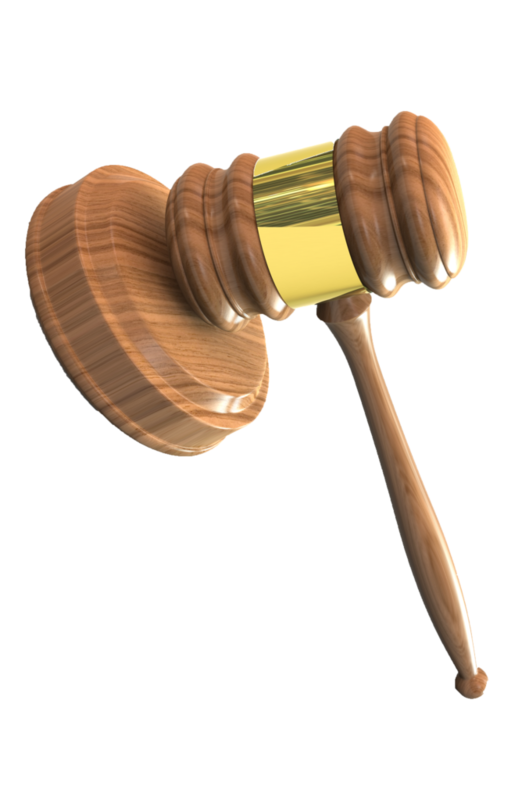 Having previously read both Law and History I hold undergraduate and postgraduate degrees from the University of Munich and the University of Edinburgh. Particular research interests of mine are General Public International Law and Jewish History which are also exemplified in my Doctoral Thesis that focusses on International Institutional Law and the question of non-member involvement within an International Organisation. I have been passionate about MUN since I first participated in a conference in 2010 and have since then gained manifold experience as Delegate, Chair and Member of a Secretariat. I especially value the international atmosphere and the spirit of collaboration which also led me to pursue my current career. While I have attended close to 50 conferences so far, MUIMUN always holds a special place in my MUN calendar (and my heart) and I am therefore particularly delighted to chair the Security Council at what will be my seventh MUIMUN. Council, as this year’s MUIMUN will be my first experience with the content side of this conference. 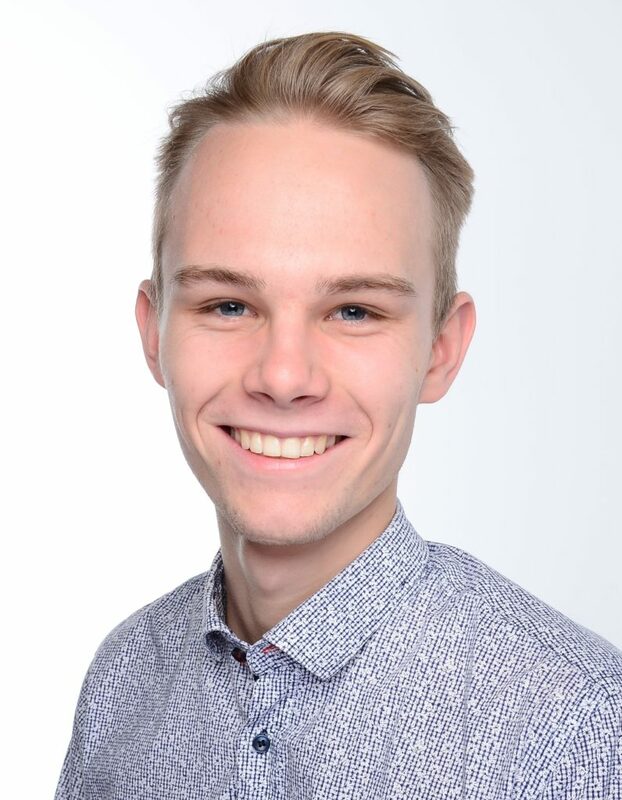 My name is Jannik Sonnenberg and I am currently studying medicine at the University of Münster in my 5th year. Having been part of the organizing team for the recent years, I got to experience many different sides of MUIMUN. For me, participating in the Münster University International Model United Nations has always been a pleasure and getting the opportunity to participate in this conference for one last time before finishing my studies is a gift. Apart from participating in MUN’s and studying medicine I am currently working on improving my Spanish skills by studying in Mexico for a semester. During the conference I will therefore most likely be a couple kilograms heavier, as the food here is incredible and I enjoy cooking, while the possibilities to go running in the streets and do some sports are rather limited. I am excited to be a part of this and looking forward to see you all in Münster at the conference! I humbly welcome you all to the prestigious MUIMUN conference. 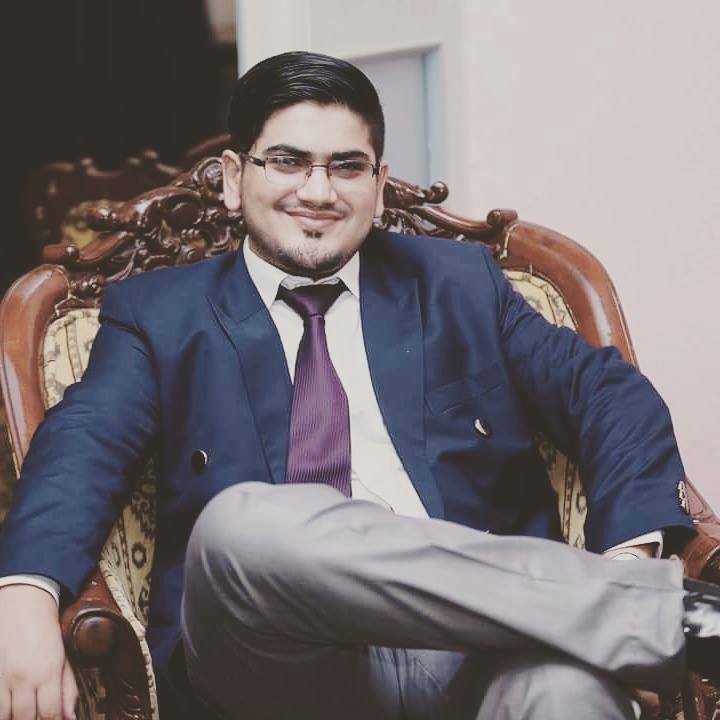 I’m currently in my final year at the University of the Punjab, pursuing a degree in Chemical Engineering. I entered the realm of MUNs back when I was in college and since then I’ve won my fair share of awards at various MUNs. Other than debating I have a keen interest in sports especially cricket, I absolutely love to travel and have a special place in my heart for food, so brownie points for those who’ll buy food for the chair! Okay so as far as debating is concerned and considering the committee is DISEC, I expect the delegates to be diplomatic and work together to come up with feasible and sustainable solutions. Delegates should research extensively and try to think outside of the box. I expect everyone to at least go through the study guide, also research on various frameworks and present solutions, and how you can optimize them. Looking forward to meet MUIMUN management and delegates. My name is Danai Georgiadou and I am really honored to address you as the chair of DISEC committee in MUIMUN 2019. I am 20 years old and I was born and raised in Greece. 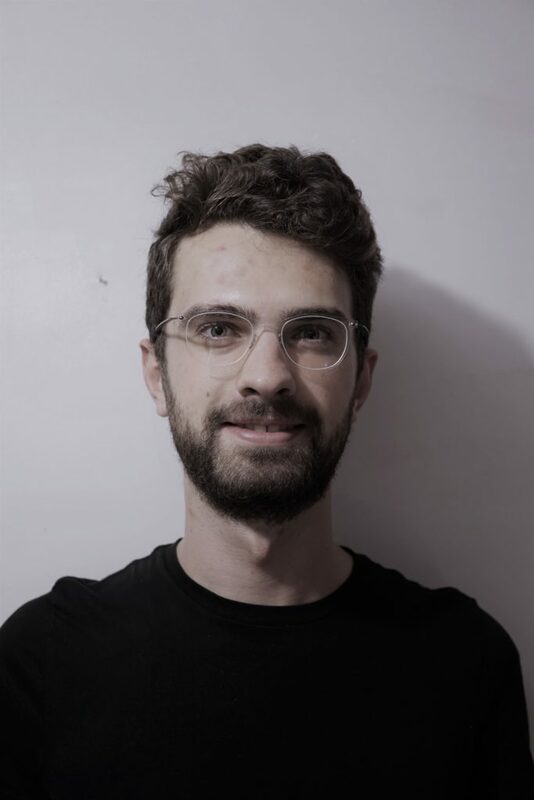 Currently, I am in my 3rd year of studies in the field of International and European Studies at the University of Macedonia in Thessaloniki, my hometown. 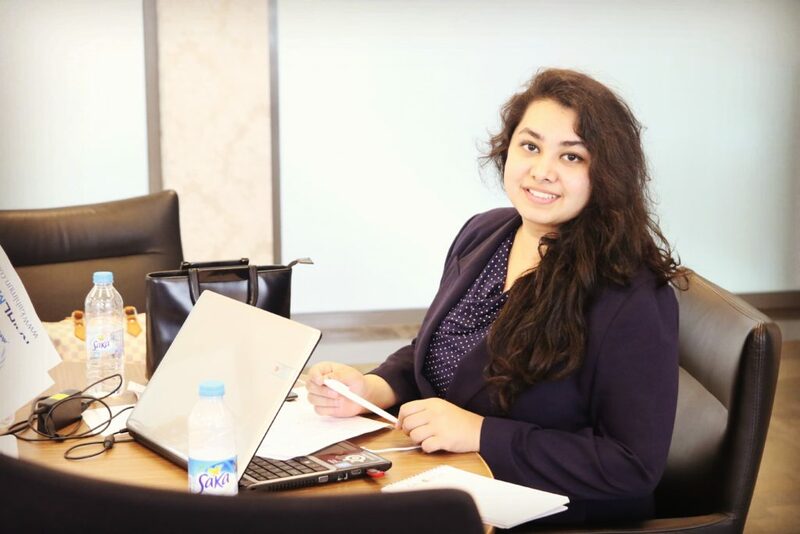 International Law and diplomacy drew my attention from my school years and, hence, since then I have participated in numerous simulations of the UN and other international and regional organizations. 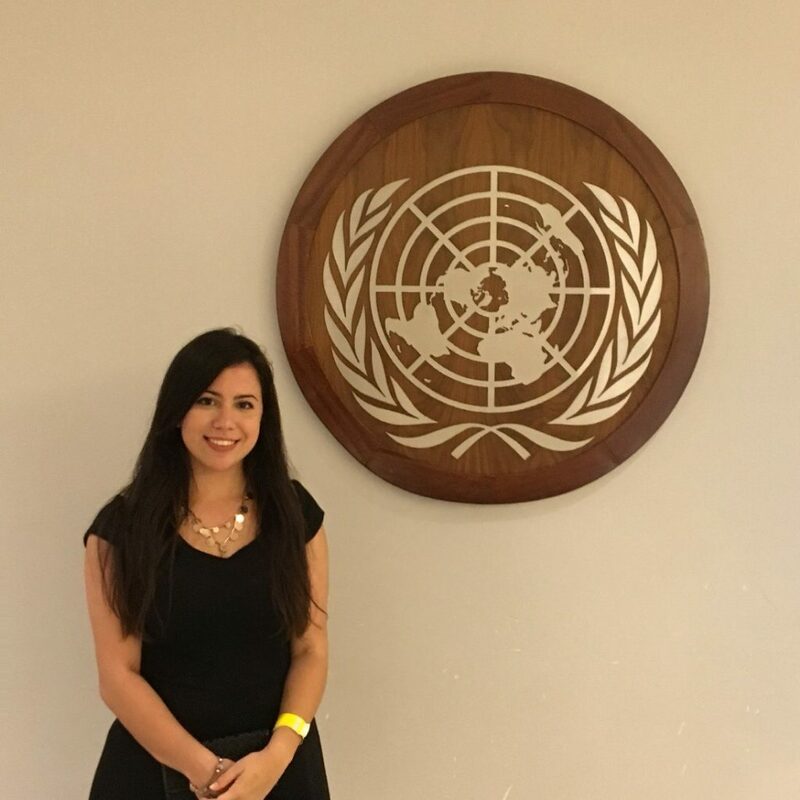 Furthermore, thanks to my interest in world issues I have gained a variety of different volunteering experiences in the fields of gender equality, education, and human rights. DISEC is a challenging committee for everyone, delegates and chairs. I hope that I will manage both to meet your expectations as a chair but also to make your experience an unforgettable one. Thrilling debates and a lot of sessions “on fire” are waiting for us in Munster. Hi you guys! 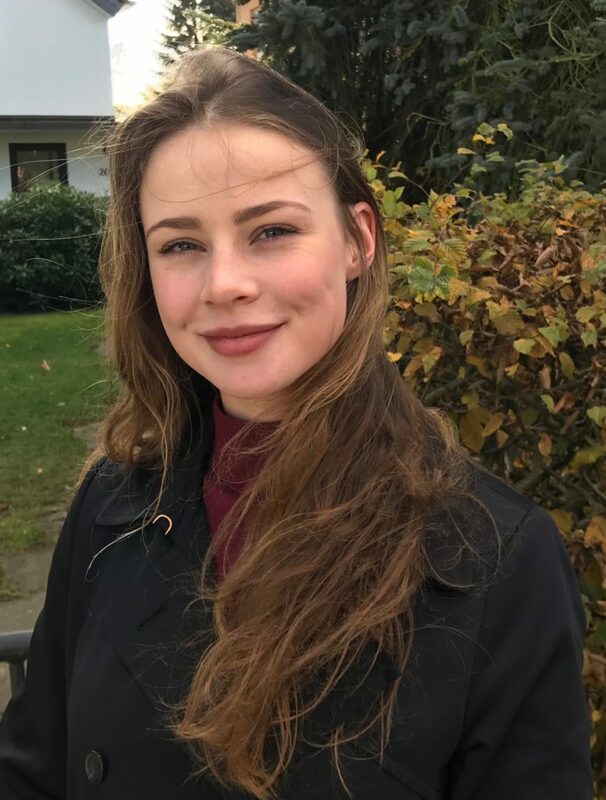 I’m Leah, a 21-year-old German/American currently studying Law in my fourth semester at the University of Hamburg. My involvement with the MUN world started in my first semester at the HanseMUN society. Shortly afterwards I got to join the secretariat of HamMUN17, and now I ́m participating in the secretariat again for a second round at HamMUN18. After having experienced MUN from the delegates and organizational perspective multiple times, now I am really excited to be chairing ECOSOC at MUIMUN 2019 for the first time! Besides MUN, and of course politics in general, (I guess it comes with the package), my interests lie in sports, good food and good TV shows. And, also typical for MUNers, I really love to travel and meet new and exciting people from all over the world! I am greatly looking forward to seeing you all at MUIMUN 2019 and I’m sure we will have an absolutely amazing time.come up with feasible and sustainable solutions. Delegates should research extensively and try to think outside of the box. I expect everyone to at least go through the study guide, also research on various frameworks and present solutions, and how you can optimize them. Hello there! I’m Aisha, and I’ll be chairing the Historical Committee at this year’s MUIMUN. 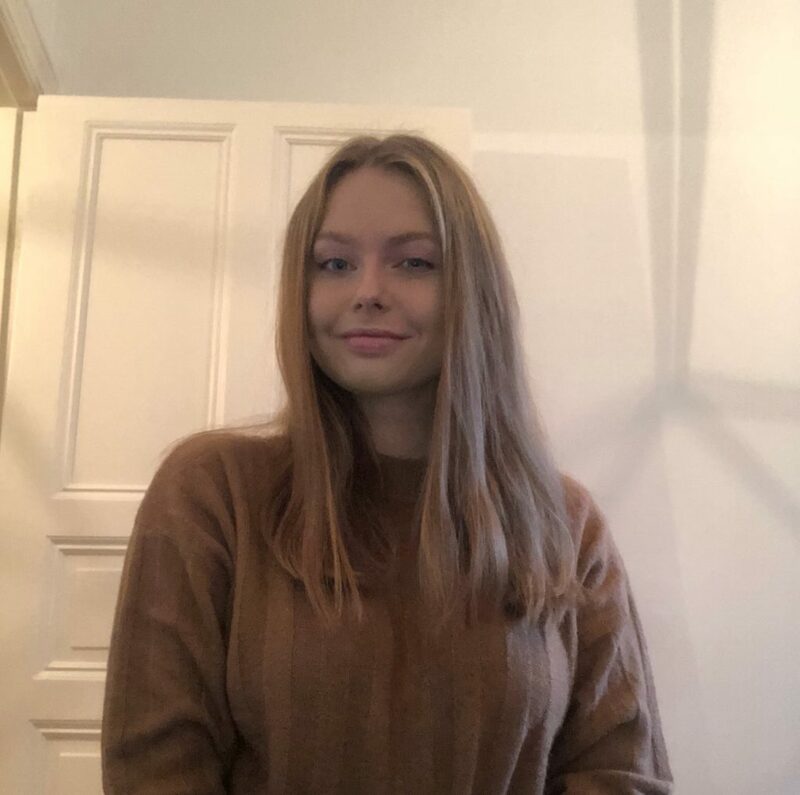 I’m a second year Bachelor’s student at Amsterdam University College, where I’ll be majoring in international relations and minoring in chemistry. Aside from being active in the MUN community as a participant, I help organize the yearly AUCMUN conference here in Amsterdam, and I spend most of the rest of my time editing papers and running the Social Sciences department of AUC’s academic journal, InPrint, and playing Ultimate Frisbee whenever possible. I started MUN in 2014 during high school in Mexico with a debate about vanilla vs. chocolate ice cream, and haven’t been able to leave it since. This will be my 13th conference, third time chairing and second MUIMUN, and you’re likely to meet me at other conferences across the subcontinent throughout the year. Together with my co-chair, I’m looking forward to bringing you all some fresh new topics by dusting off the history books, pumping some new energy into them, and giving you an unforgettable experience! 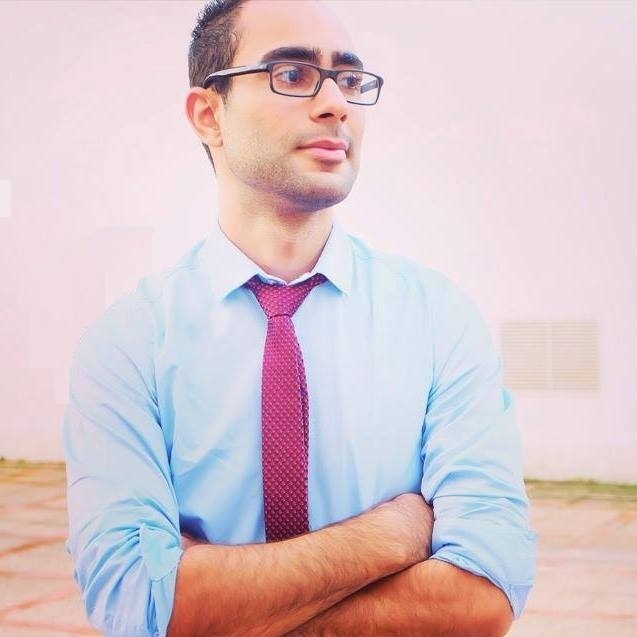 As a dedicated Policy officer in European and international organizations, very ambitious to work for the Euro-Mediterranean partnership; I early understood that the idea for this partnership is rather economic, hence the choice for obtaining my bachelor’s degree in Business and Management at the National School of Business and Management Morocco. Given my deep interest in further education, I am a Fresh graduate from the European institute of Nice (France) obtaining a Master’s degree in Advanced European and International Studies (Mediterranean Branch). The programme is comprised of three trimesters each conducted at three different locations namely Nice, Tunis, and Rome. Currently, I am a former intern at the Embassy of Morocco in Rome (Italy) inside the political affaires department. In fact, I have worked for the UN SDG Action Campaign, UNESCO Centre: Law and Migration and the International Organization for Migration (IOM) and other international organizations involved in the process of improving the human condition by addressing the root causes of poverty and inequality, creating and sustaining hope for a better life, and building the right environment for the promotion and transmission of scientific knowledge to the future generation which are the driving force behind my intellectual curiosity. As chair of the uniquely interesting UNHCR I am more than grateful to welcome you at MUIMUN and I am really looking forward to experience an unforgettable conference with you. Having attended various conferences abroad such as (, but not limited to) LIMUN, OXIMUN and QUIMUN, I am now very excited for my first MUN in beautiful Muenster. I´m looking forward to innovative ideas, heated debates, amazing evenings and new friendships. During my normal, non-MUN life, I´m studying law in Berlin in my first year. Besides saving the world with astonishing delegates, I like riding my horse, playing the piano, meeting friends and discovering the Berlin nightlife. Also, I am a politically active person and I love taking part in debates about current national issues, such as the refugee crisis. Thus your chair is really looking forward to hear all of the delegates interesting opinions on the issues on the agenda. I am convinced that this years UNHCR at MUIMUN will be as efficient as ever and I cannot wait to meet all of you in March! My name is Bianca and I’m a 21 year old Brazilian student finishing my degree in International Relations at Fluminense Federal University, Rio de Janeiro. 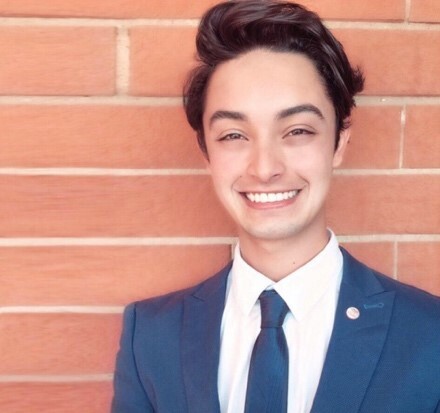 I have been involved with Model United Nations since high school, in the role of delegate, chairperson or staff member in conferences in Brazil, Europe and the US. Last year I worked as a summer intern at the United National Association of the National Capital Area (UNA-NCA) in Washington DC, serving as a program assistant at Global Classrooms DC. This year I was the chair for the Human Rights Council at the UNESCO Center for Peace Summer Camp, as well as a facilitator and lecturer. I’m excited to return Münster for MUIMUN 2019, especially after my amazing experience as a scholar in the 2017 edition! 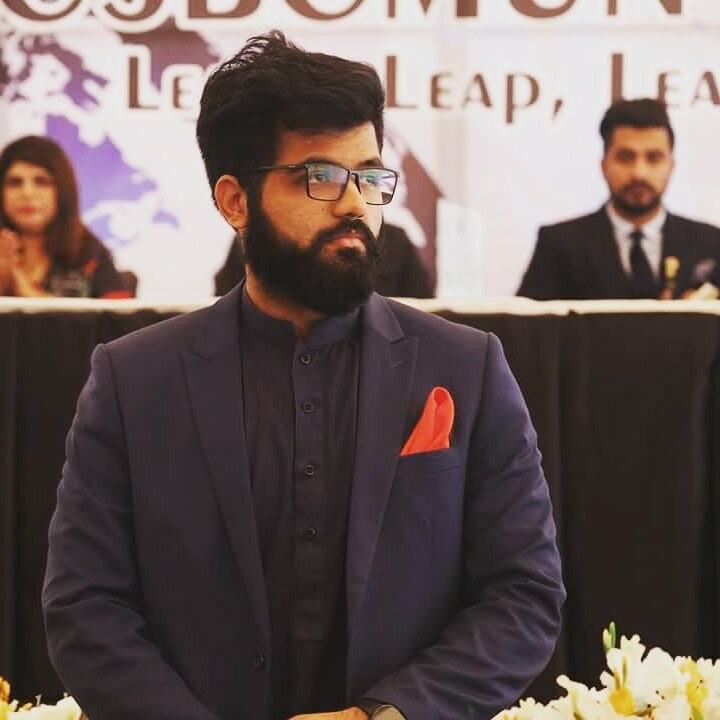 This is Asim Mushtaq from Pakistan and I am honoured to be chairing at MUIMUN 2019. A computer scientist by profession, and an old school MUN enthusiast, I have been part of various MUN’s as a delegate, part of secretariat, as well as an organizer at national and international forums. I have also had the honour of being the Secretary General for four very successful national level conferences in Pakistan. Apart from my love for public speaking and model united nations, I am an extrovert who loves travelling, meeting new people, managing events and working on new ideas. I surely love to keep pace with my multifaceted interests and be good at them. All of you have tons of free advice coming your way at MUIMUN! 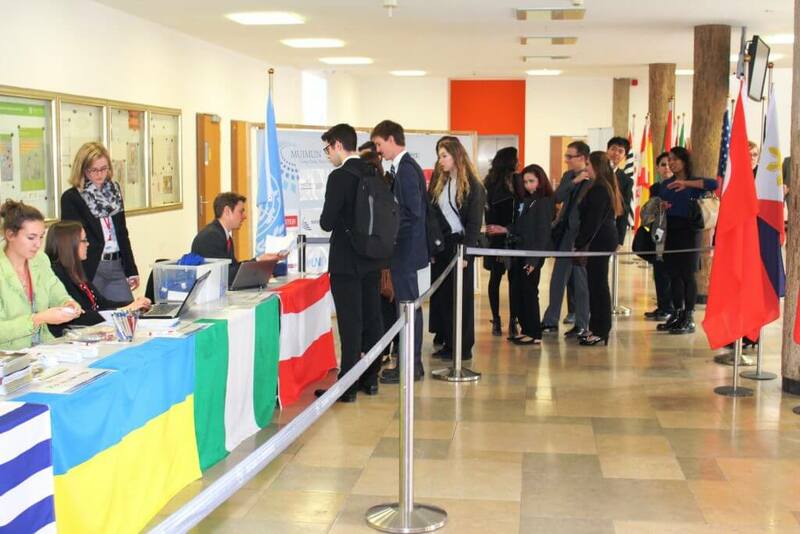 Model United Nations to me is not just another event you attend but a fully wrapped box of ‘experiences’ circling around understanding of international affairs and politics through listening, debating and diplomacy. While resolving real world issues and developing empathy for humanity, MUNs come with extra perks of learning through knowledge sharing, getting social exposure and experiencing cultural exchange through travelling and global interactions. Therefore I am really looking forward to welcoming you all to MUIMUN 2019 coming your way this March. Hello, my name is Winona Kamphausen. I am currently studying political science and social and economic history at the Georg-August-University Göttingen. It will be a pleasure for me to be a chair at MUIMUN 2019. I started MUN around 2 years ago and have participated at conferences like HamMUN and OxiMUN as a delegate. 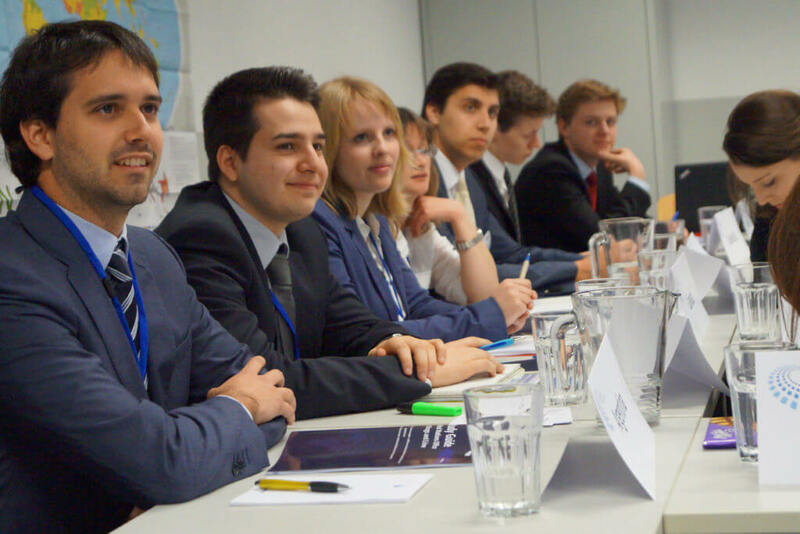 Additionally, I am part of my society’s executive board who organizes the upcoming GöMUN Conference. MUN has become more for me than just a hobby, it’s a great opportunity to discuss politics, travel and meet new people who are as interested as I am in politics and international issues. Besides MUN I enjoy traveling, reading a good book, watching movies and horseback riding. This will be my second time at MUIMUN and my first time as chair and I am looking forward to fruitful debates, creative solutions, comfortable atmosphere and an overall amazing conference. I am an Energy Engineer graduated from the National Engineering School of Monastir in Tunisia. I have always showed deep interest in Politics and International Relations. As an Engineering Technology exchange student at the University of Central Missouri in the USA, I minored in Politics covering classes such as International relations and Model United Nations. My enthusiasm for the United Nations and MUN conferences helped me participate in 6 MUN conferences in 4 different countries including MUIMUN in 2013 and 2017, and 3 Model African Union Conferences chairing two conferences, being awarded “Best Chair” at one of them. What’s enjoyable and impressing at MUN conferences is the new things we learn and the new people and cultures we get to know. At MUIMUN, I lived the experience to the fullest and am looking forward to take part in this 2019 conference bringing together my knowledge of MUN and passion to its cultural part, waiting to get to know all delegates and jointly work to make it a fruitful and special experience for all. 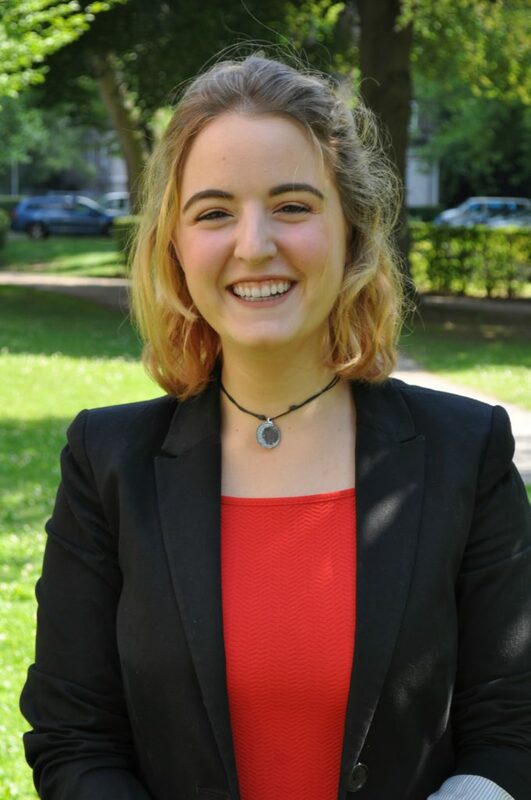 My name is Teresa and I was born and raised in Valencia (Spain), but I am currently studying Ethnology and Religious Studies at the Georg-August-University Göttingen, in Germany. Having been raised in a multicultural environment, I discovered my passion for international relations at a young age. I came upon MUNs through a friend and joined the society of my university on 2016 and I can say without a doubt, that it was one of the best decisions of my life. Besides MUNs I love to travel and cooking. Hope to see you all in Münster! My name is Matteo Schmid, I’m studying the German – Latin American Business Administration Double Degree Program (CALA) in Münster, Germany. I spent 4 months living in Cuba and about 8 months traveling through South America. I had my first MUN experience at the MUIMUN conference in 2018. About MUN I really like the international atmosphere and meeting new people from all over the world. I love to travel and to play sports like handball. on Climate Financing in the Developing World at ICCF 2018 in Dhaka. Mandela World Human Rights Moot Court, organized by the UN OHCHR in Geneva, Switzerland. the Presiding Judge for ICC at MUIMUN, and look forward to a mutually enriching experience. Greeting to all! 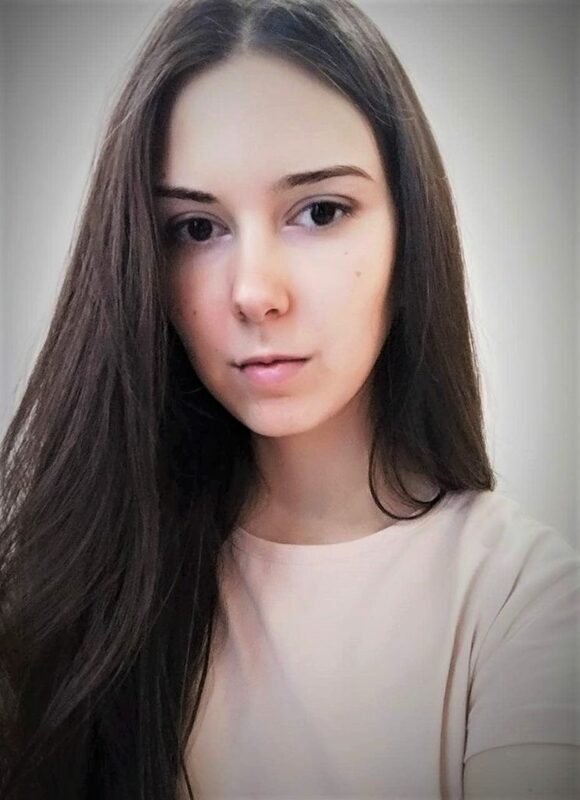 My name is Olya Krylova, I am 22 years old and from Ukraine. I am currently continuing my academic career with the study of international private law at the Institute of International Relations (Kyiv). In one of the projects during my studies, I was the team leader responsible for building and leading our project team (the European Moot Court Competition on WTO Law, Naples, Italy ). Also I participated in the 2018 TLI International Mock Trial Competition on American Common Law (Chisinau, Moldova), the 2017 Phillip C. Jessup International Moot Court Competition (Public International Law), (Kyiv, Ukraine), the 2016 National Moot Court Competition on Media Law (Lviv, Ukraine). Between 2016 and 2017 I held the position of the Director for International Focus Programme in ELSA (European Law Students’ Association). I believe human rights are at the core of our sacred bond with the peoples of the United Nations. I raise this point in all my papers, dedicated to human rights protection. Having been a member of the team in the various moot courts, currently being a coach of the EMC2, I have never thought that I would have the honour to be a Judge for the ICC. I hope my international background, interdisciplinary education and experience in mooting will add more diversity to the Conference. I am looking forward to making all participants acquaintance. In general, most Non-EU citizens (or Non-Schengen citizens) require a visa to stay in Germany. Please check if you need a visa here. Please note that there are visa fees, which have to be covered by you. In order to receive a visa, you need to fill in an application form, which you can find on the website of the Federal Foreign Office. You need to hand in this application form together with all the necessary documents in person at your German consulate or embassy. For more information about visa requirements and procedure, visit the website of the German Federal Office here. Do I need an invitation letter? What do I bring to conference? Money: Make sure to bring enough Euros to cover for your breakfast, dinner, and drinks at the evening events. In the registration fee included are lunches, coffee breaks and entry for our social events. ATMs are available in many nearby places. Clothing: The dress code during the session is formal (European business attire or business attire from your home country). European business attire includes: Men are expected to wear a suit with a tie and women are expected to wear a suit or a dress. Shoes should be formal as well. However, we are a students’ conference, we are aware that not everyone might have full business attire to their disposal, if you are not certain, feel free to contact the Delegates’ Service (delegates@muimun.org). During the evening events, you can wear whatever you feel comfortable in. At the Global Village Party, you may wear a typical dress representing your home country. A raincoat or waterproof jacket and umbrella are recommended as Münster is famous for being rather rainy in the spring. Research your committee topic and your country position thoroughly. 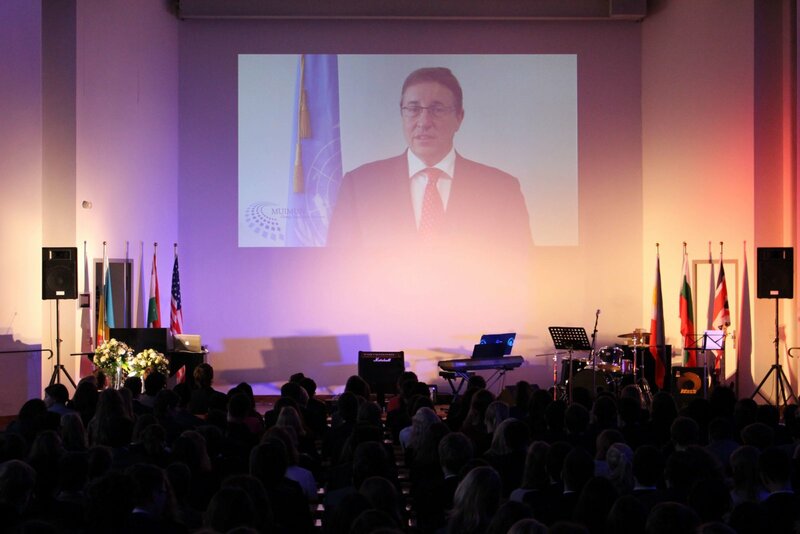 Among our main goals is to promote and convey a deeper understanding of the United Nations and international politics. Thus, one afternoon of the conference is reserved for our workshop programme “MUIMUN meets experts”. You will get the chance to meet professionals from the field and approach international politics from a different angle. For many of us, humanitarian crises seem to occur only in remote countries and only for local or regional reasons. A closer look to some scenarios like the 1994 Rwandan genocide, the ongoing Syrian war or even the 2014 Ebola outbreak in West Africa however will demonstrate our responsibility as former colonial power, belligerent nation or as big player in global markets. We will have to accept our responsibility for causation of today´s postcolonial conflicts and inequities, but as well for our capabilities, being one of the richest countries worldwide. Compared to countries like Tchad or Lebanon, we only spend a little fraction of our wealth for the alleviation of suffering. But we are responsible, either for causation or for our capabilities to help. Joachim Gardemann, born 1955, is a medical doctor, specialist in child and youth medicine, specialist doctor for public health systems and master of public health. Since 1994 he is member of the Emergency Response Units for international disaster relief of the Red Cross and Red Crescent Movement. As a delegate for ICRC or IFRC he took part in humanitarian missions to Rwanda, Tanzania, Macedonia, Iran, Sudan, Sri Lanka, China, Haiti, Jordan and Sierra Leone. 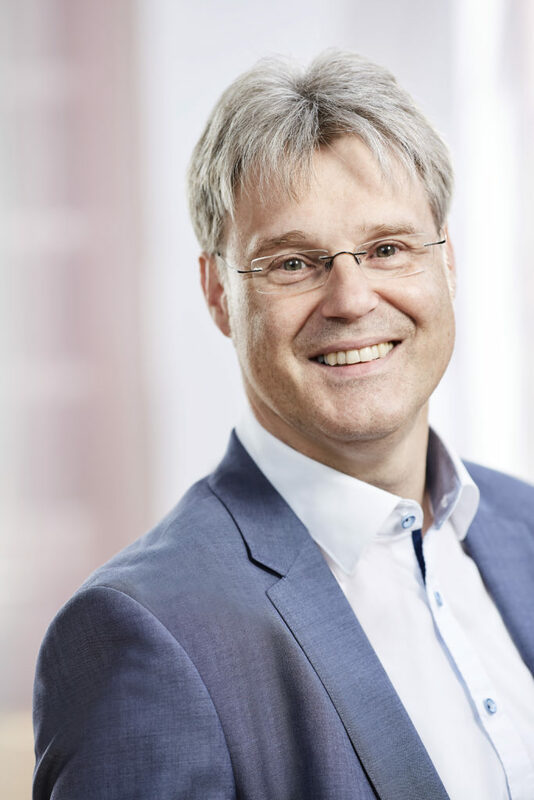 Joachim Gardemann is head of the Centre of Competence for Humanitarian Relief of the Muenster University of Applied Sciences. During this workshop we will take a look at a variety of ways to join the United Nations workforce, ranging from internships to entry-level programs like the YPP- or JPO-program. Next to a general overview on the working conditions at the United Nations (professional fields, career prospects, salary, core values and competencies), the workshop will also entail concrete information and exercises regarding the UN-application process. 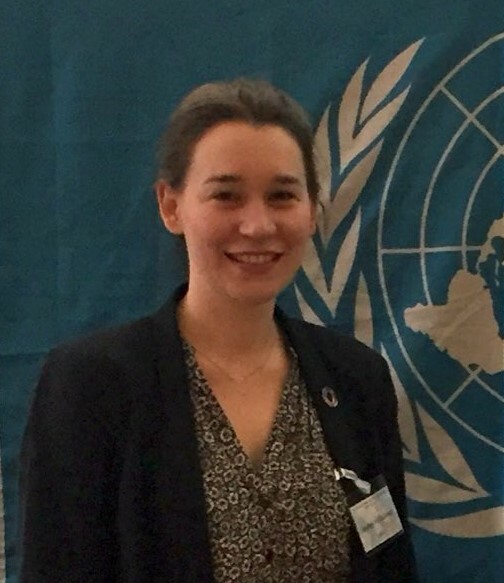 Isabel Hofstaetter works as Junior Professional Officer (JPO) in Information for the United Nations Regional Information Centre (UNRIC) in Bonn. She holds an M.A. in Human Rights and International Relations from Roehampton University in London. 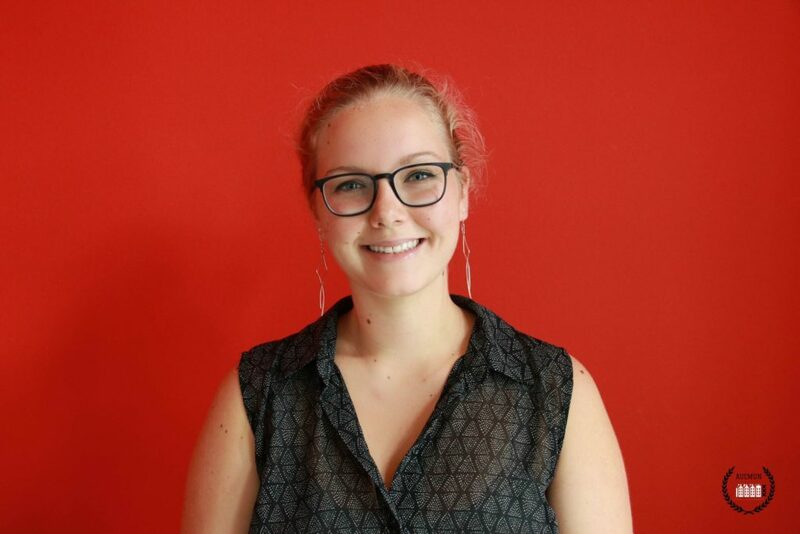 Before joining UNRIC, Isabel worked with the German Development Cooperation in Uganda and, most recently, with the United Nations in Timor-Leste. 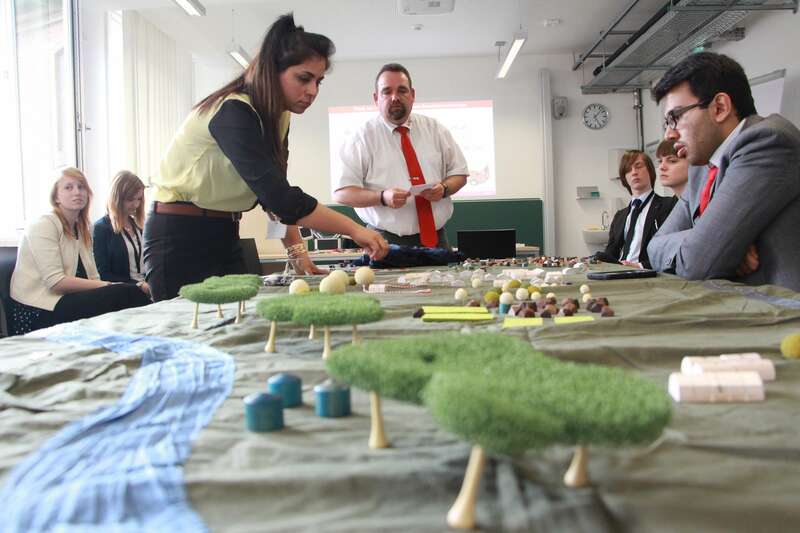 In this workshop the concept of sustainability and its ethical dimensions are discussed. In specific contexts (Health and Justice; Integrity in Politics; Human Dignity and vulnerable Groups) discussed in three parallel sessions the concept will be applied. This workshop addresses normative questions related to sustainability based on philosophical ethics. These workshops are run by Dr. Simon Derpmann, Mrs. Lisa Schmidt and Dr. Katja Stoppenbrink (they take place as parallel sessions). Prof. Dr. Michael Quante is professor of philosophy with specialisation in “practical philosophy” at the University of Münster. He is also involved in the Excellence Cluster “Religion and Politics”. He wrote his dissertation on “Hegel’s Concept of Action”, and habilitated on “Personal Life and Human(e) Death”. Between 2012 and 2014 he held the office of President of the German Association of Philosophy. 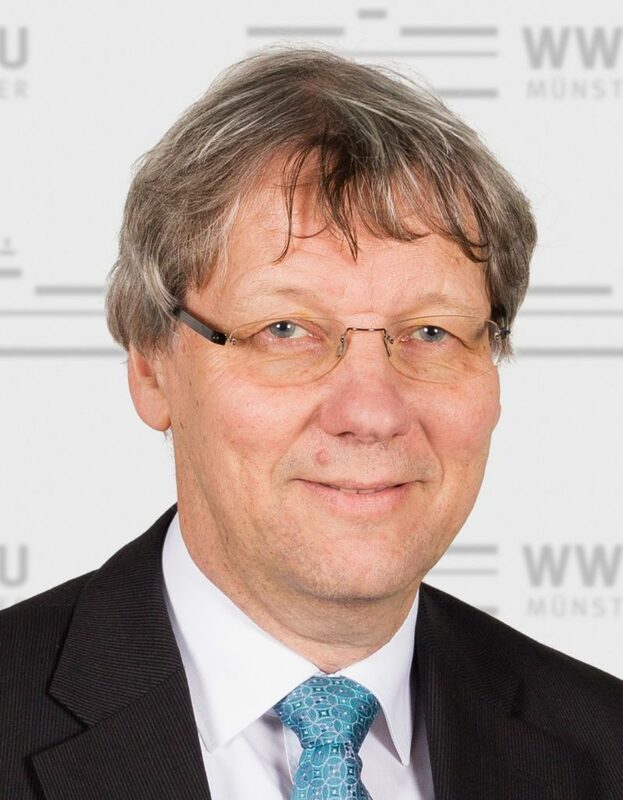 Since 2016 he holds the position of Vice-Rector for Internationalisation and Knowledge Transfer at the WWU Münster. Negotiations are a recurring part of both our private and professional lives. But many of us – and even experienced political leaders – know little about the strategies, tactics and applied psychology of effective bargaining. The workshop is designed as a crash course in basic and intermediate negotiation techniques, based on the proven methods of leading law schools and business schools. Participants will explore distributive and integrative bargaining tactics in two highly interactive simulations. These role plays enable them to experience the essential concepts and pitfalls of negotiation first-hand and reflect upon their performance during the debriefing of the case studies.The workshop is limited to 30 participants and requires the willingness to actively negotiate with a randomly assigned counterpart during the session. Henning Höber is a lecturer in the departments of business administration and political science at the University of Münster, where he is teaching negotiation and dispute resolution. In addition, he is currently completing a part-time PhD program in management at the University of St. Gallen. As part of his studies, he was a researcher at several leading business schools in Europe and the Americas. 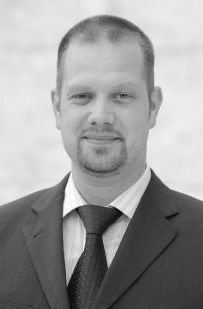 Prior to his graduate studies in business administration and economics in Germany and Mexico, Henning spent two years in Barcelona, working in the shipping and insurance sectors. The world economy has been booming until recently. Thanks to that boom we have been observing a huge catch-up growth in emerging markets. This grossly reduced poverty in both relative and absolute terms, not just in China but in a considerable number of countries worldwide. This trend, however, seems to be at risk for mainly three reasons. The first is the popular recurrence to protectionist conceptions of international and global trade. The second is the emergence of a new form of state-capitalism, that started out in China and Russia but has become popular in the US and many EU countries as well. The third threat stems from the awkward current state of the European Union, facing both the Brexit problem and mushrooming populist and anti EU movements. In our workshop, we want to shed more light on the three problems at hand and to work out interdependencies between the three problems areas. Thomas Apolte is professor of political economy at the Center for Interdisciplinary Economics of the University of Münster. Although trained as an economist, he works as an interdisciplinary social scientist, crossing the borders to political science, sociology, and psychology. In the last decade, his core interest has been in the economic theory of autocracy as well as in theories of political conflict, terrorism, and revolution. He has published in international Journals such as “Public Choice”, “Economics of Transition”, “Constitutional Political Economy” and “Defence and Peace Economics”. 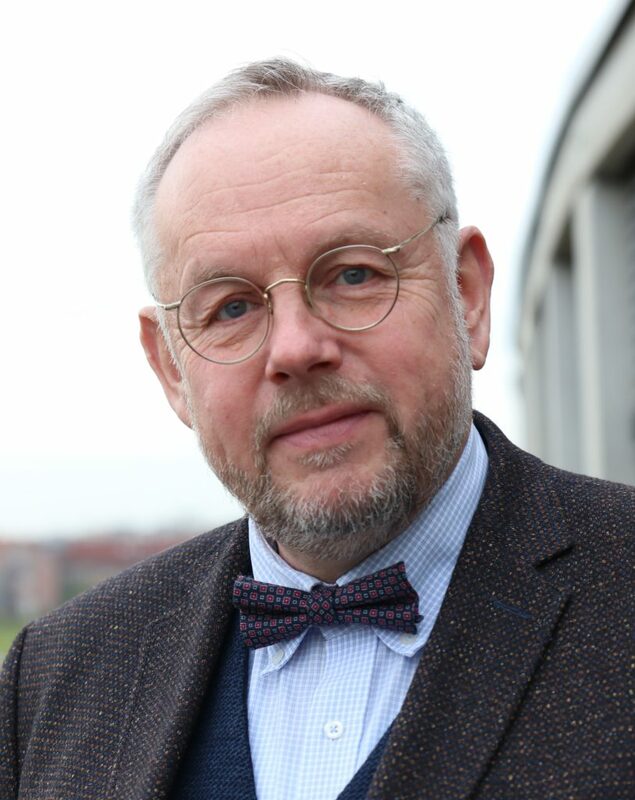 He is the founder of the conference series “Political Economy of Democracy and Dictatorship” which is held every spring in Münster, bringing together some 70 interdisciplinary scholars from more than 20 countries worldwide. The 1st German-Netherlands Corps is engaged in military actions in various countries. This workshop will include a presentation about the 1st German-Netherlands Corps. After this there will be a presentation about the UN mission in Mali (MINUSMA) especially their structure, mandate, capabilities and challenges. In addition a briefing about the French military operations in the Sahel region and their cooperation and challenges in the cooperation with the MINUSMA mission of the UN will be addressed. The workshop will be concluded with a scenario that is used in trainings for Political Advisors about a challenging military situation in such a mission with a discussion about a possible solution and the related implications of the solution. This workshop will be conducted by LTC Ellert Klotz from the German Army, LTC Wycliffe Nieboer from the Netherlands Army and LTC Stephane Collet from the French Army. 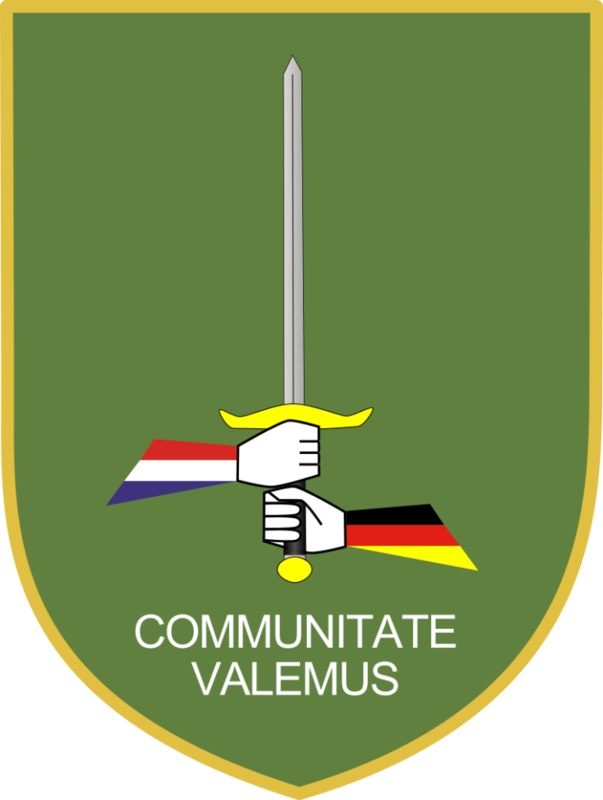 The 1st German-Netherlands Corps is a multinational formation consisting of units from both the Royal Netherlands Army and German Army. The corps’ headquarters is situated in Münster and also takes part in NATO Response Force. The corps has national and multinational operational responsibilities. Currently the 1st German-Netherlands Corps consists of twelve nations: Belgium, Czech Republic, France, Germany, Greece, Italy, Netherlands, Norway, Spain, Turkey, United Kingdom and United States. After the opening ceremony, a champagne reception is held to celebrate the beginning of an intense week full of debates, socials and MUIMUN fun. When? The champagne corks are popped on the first evening. Non-alcoholic options and little snacks are offered as well. Where? The champagne reception takes place in the foyer of the main building of Münster University the Schloss. 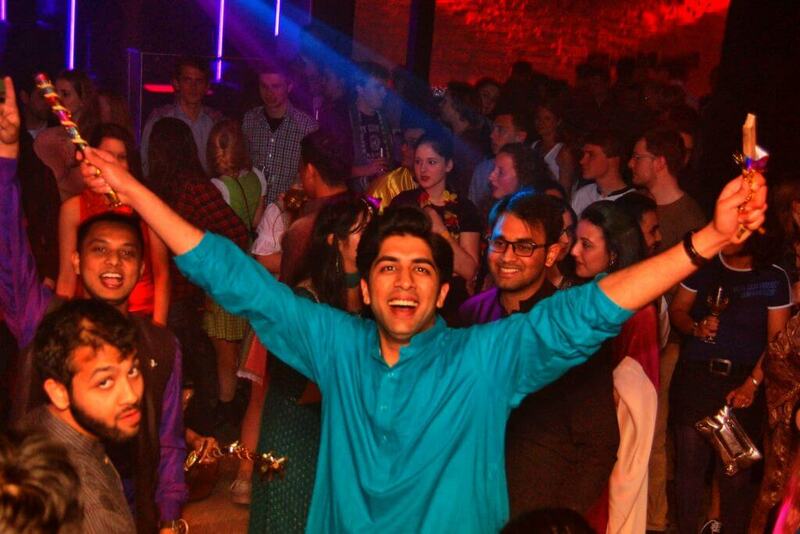 One of the many reasons to join MUIMUN is its outstanding and colorful Global Village Party. Delegates from over 40 nations share traditional food, music, and clothing from their home countries. It is a wonderful chance to experience an evening with a very special international flair. Everyone is invited to bring food from their home countries. Unfortunately, beverages are not allowed. You may also bring music that is typical of your home country. When? The Global Village Party takes place on the second day of the conference. Do you want to test your general knowledge and compete in teams in a cozy and relaxed atmosphere? Then come to our pub quiz, enjoy some drinks with your fellow delegates while having the chance to win a special price at the end of the evening. When? Our quiz masters are awaiting you on the third evening of the conference. Rumour has it that there are some creatures strolling around the old parts of town during the night to protect the citizens of Münster. If you would like to explore the city and its historical sights at night, come and join the night watchmen with their patrol. When? The night watchmen are expecting you on the fourth night of the conference. Where? The starting point of the patrol is the old town hall right in the city center. Right after this short trip into the history of Münster, we will take you back to the present. In the old parts of town, you can also strengthen yourself with a cold drink and snack while exploring the lively pub scene, where students like to spend their evenings. When? Having finished the patrol successfully we will proceed with the pub crawl. Where? Meeting point is on the marketplace, the square next to the cathedral (Domplatz). At the end of a fruitful week of discussions, it is now time to say goodbye and celebrate together before everyone is spreading out into different directions. Let’s celebrate the MUIMUN spirit one last time! Where? At the „Gazelle-Club“ near the main station (address: Servatiiplatz 1, 48143 Münster). Monica Ferro, Director of the UNPFA Office in Geneva since April 2017, has worked to promote equality, development and human rights for the past 20 years. 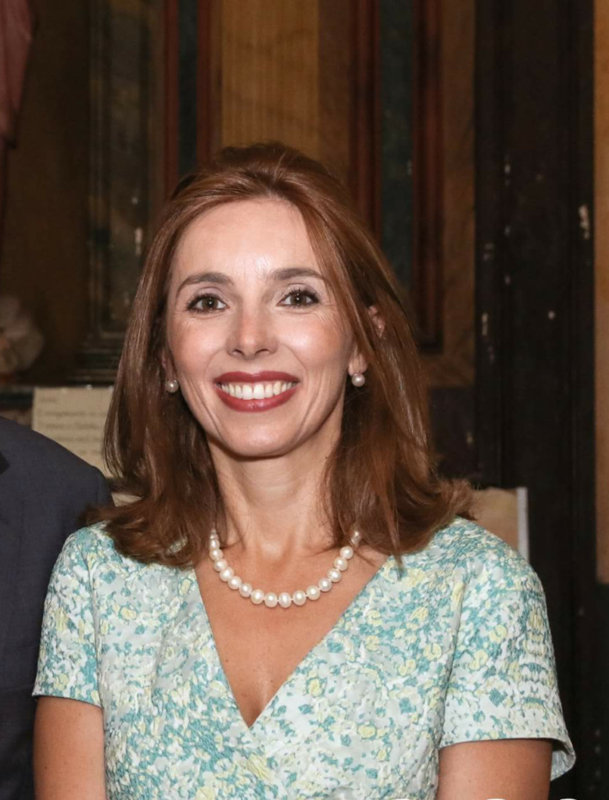 Prior to joining UNFPA, Ms. Ferro had a twenty year career of public service in Portugal, during which she served as the Secretary of State for National Defense, as a university lecturer, a media personality and an activist. She served as a Member of Parliament and was Vice-President of the Parliamentary Group of the Social Democrat Party; Chair of the All Party Parliamentarian Group on Population and Development; and Vice-President of the European Forum of Parliamentarians for Population and Development. Ms. Ferro is a founding partner of the 2015 Objective Association – United Nations Millennium Campaign, Portuguese United Nations Association, and Founding Member of P&D Factor Association for Cooperation in Population and Development. 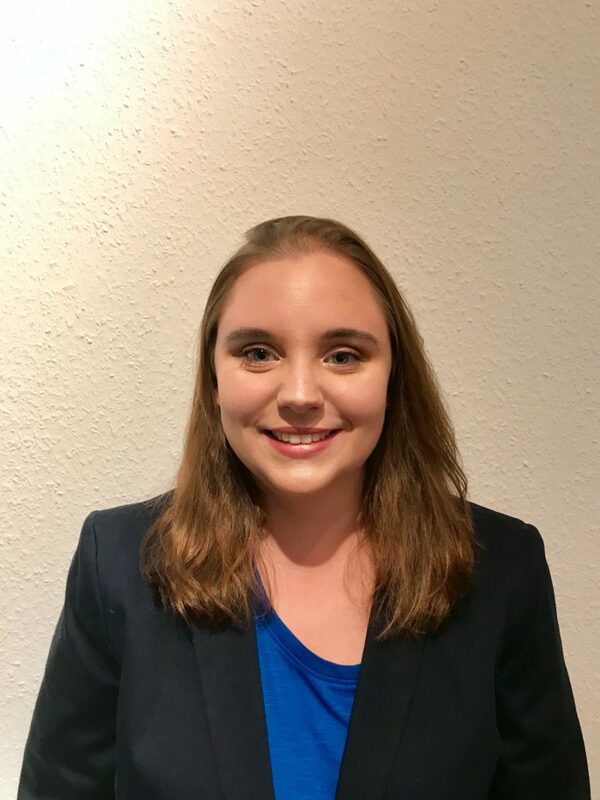 A National Defense and Civil Crisis Management Auditor, Ms. Ferro has also been a lecturer at the University of Lisbon, guest lecturer at the National Defense Institute, Air Force Academy and University of Military Studies. Furthermore, she is an Associate Researcher at the Centre for Gender Studies, University of Lisbon and has been a columnist for several national newspapers and magazines, and author of more than a hundred articles, entries in encyclopedias, book chapters on the United Nations, Development Cooperation, Human Rights, United Nations, Security Sector Reform and Gender equality. 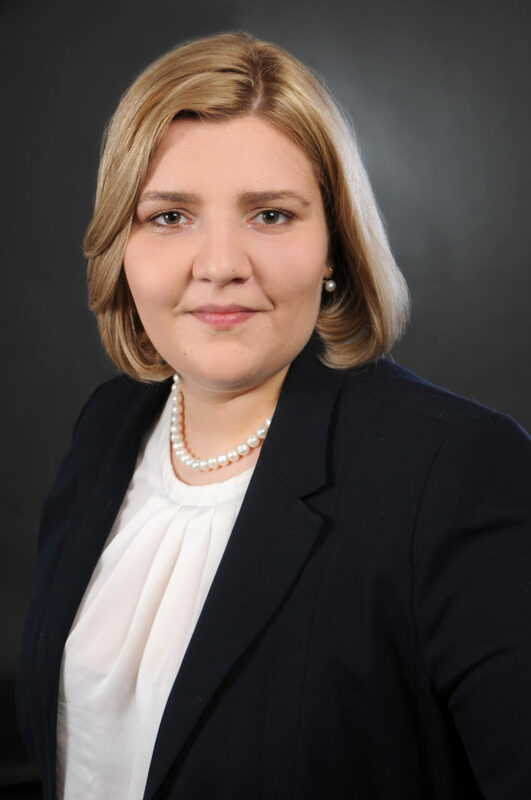 Mónica Ferro is Portuguese and holds a Bachelor’s and Master’s degree in International Relations from the Higher Institute of Social and Political Sciences, University of Lisbon, and is also a PhD candidate with a thesis on “Security Sector Reform in Fragile States”. She is married and has two daughters. Other costs, such as travel expenses and accommodation are not included. Payment will be processed by PayPal or bank transfer. Should you encounter any problems, please contact us, we are glad to assist you. International students facing financial problems are invited to inform themselves about our scholarship programme. 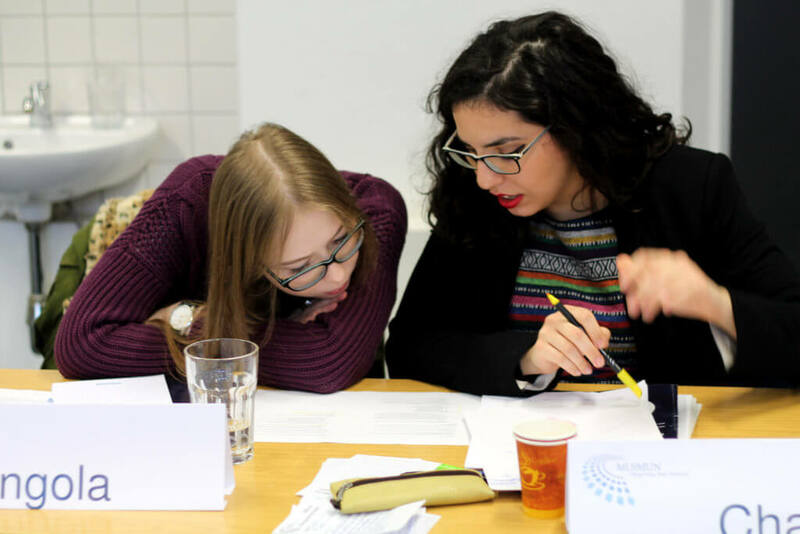 The non-profit Münster MUN e. V. (German registered association) supports the MUIMUN project actively, especially with a staff (the volontarily working MUIMUN organization team) and ideally. Additionally, it also helps in funding the project.